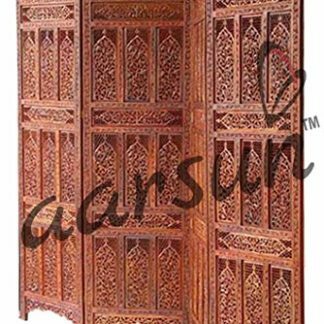 The unit is handmade by skilled artisans in fine quality Sheesham Wood. The unit consists of 4 Panels each 72 inches in height and 20 inches in Width. All of our Partitions comes in this standard size and can be customized in 2 or 3 or 4 or 6 Panels depending upon the requirement. The unit is hand-buffed to give it an antique style look and traditional finish.